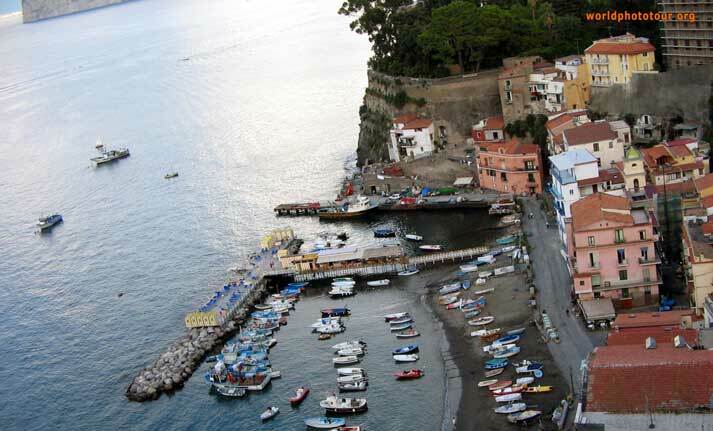 This is the most attractive beach of Sorrento due to its position inside the picturesque village of Marina Grande. The colour of the homes, moored boats and the presence of a few fishermen along the shore, are evidence of the historical role this place has had in the course of the centuries for the city of Sorrento. In fact, it is from Marina Grande in Sorrento that the reputation of the longevity and robustness tied to the Sorrento’s goiter began, the famous wooden boat, of a tapered shape, with a sail and length of 6 to 12 metres. The beach has two beach establishments: Bagni Delfino and Da Cataldo, of which only the later has a stretch of sandy beach and also an free area where you can swim without buying a ticket.